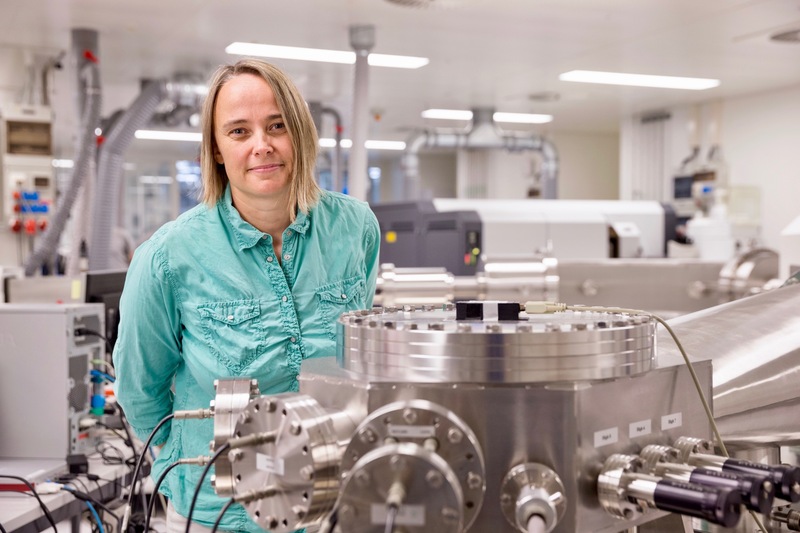 Maria Schönbächler and her team at the Institute for Geochemistry and Petrology at ETH Zürich measure isotopic composition, i. e. the proportions of atomic species of an element with different atomic weights. This allows conclusions to be drawn about the origin of the solar system and the planets that formed 4.5 billion years ago from a disk of dust. The researchers are particularly interested in the elements zirconium (Zr), titanium (Ti) and chromium (Cr). As high-precision measurements carried out at ETH Zürich in the last ten years have shown, the dust did not have exactly the same isotopic composition of these elements everywhere. “These elements show so-called nucleosynthetic anomalies, which can be compared to salt and pepper in food,” explains Maria Schönbächler, project leader at the National Centre of Competence in Research (NCCR) PlanetS. Every celestial body, every planet has such characteristic nucleosynthetic anomalies. In other words, every celestial body and planet has its own portion of salt and pepper – with one single known exception: the isotopic compositions of the earth and the moon are identical. The simplest explanation for this is that the moon has mainly formed from the earth’s mantle – material that was hurled out when the earth collided with a Mars-sized body called Theia in a gigantic collision. This giant impact theory can explain most observations. 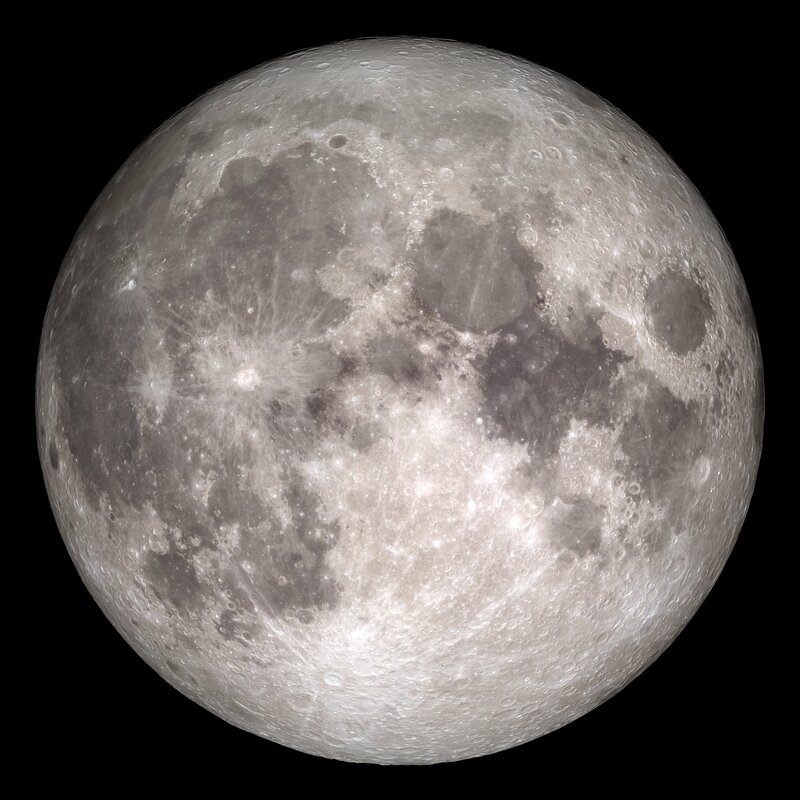 “One problem, however, is that computer simulations show that the moon consists mainly of Theia material and should therefore be “salted” differently with zirconium, titanium and chromium,” says Maria Schönbächler. How can this contradiction be resolved? In order to answer this question, the ETH professor and her team analysed lunar material which NASA made available to them from the Apollo missions that took place from 1969 to 1972. The researchers concentrated on zirconium isotopes. “Zirconium is relatively common in Earth and Moon samples and can therefore be measured well,” explains the PlanetS project leader. “However, it still needs cleanroom laboratories to avoid contamination and high-precision measurements with mass spectrometers so that we can resolve deviations up to the sixth digit after the decimal point.” The Zurich team supplemented its own measurements with new data from other studies on titanium and chromium. Based on the measured data, the researchers used computer models to calculate the probable isotopic composition of Theia. In doing so, they took into account all known possible collision scenarios. Conclusion: The scientists found that Theia had a very similar isotopic composition to the earth. It was a small planet that had formed close to the earth and then collided with it. The investigation also showed that there was probably no material left over from Theia during the collision that could later have fallen to Earth in the form of meteorites. According to the researchers, these findings can be expanded further, “our results show that the planets have been formed mainly from local material, and the earth has scarcely captured bodies from the outer solar system,” summarizes Maria Schönbächler. Following the zirconium analysis, the Zurich team is now studying the isotopic composition of the volatile element tin and the more temperature-resistant element titanium. They want to find out whether these elements have been lost through evaporation during the giant impact, just as the depletion of volatile elements such as potassium on the moon can be explained by the giant impact theory. “Such a result would tell us a lot about the physical processes involved in the giant impact,” says the ETH professor. Akram, M. Schönbächler: «Zirconium isotope constraints on the composition of Theia and current Moon-forming theories», Earth and Planetary Science Letters.